As I have previously mentioned, recently I have been on a bit of a health kick, trying to eat a bit more healthily and incorporate more fruit and veg into my diet. A friend was extolling the benefits of green smoothies to me, and so I thought I would give a green smoothie a go. I am aware that the colour sometimes puts people off, and the thought of including vegetables or salad in a smoothie, but once you start drinking green smoothies, you soon realise how delicious they are and often forget what is actually in them! I absolutely love vegetarian blog "Tinned Tomatoes" written by fellow blogger lovely Jac, which I'm sure many of you follow also. She recently shared a fantastic article featuring fifteen Green Smoothies to improve family health. On her blog, she also shared her Green Stegosaurus Smoothie which I have based my Spring Green Smoothie Recipe on in a bid that it will appeal to the kids too! To put a twist on her smoothie, I added Pineapple and Curly Kale to my recipe and omitted the wheat grass powder. 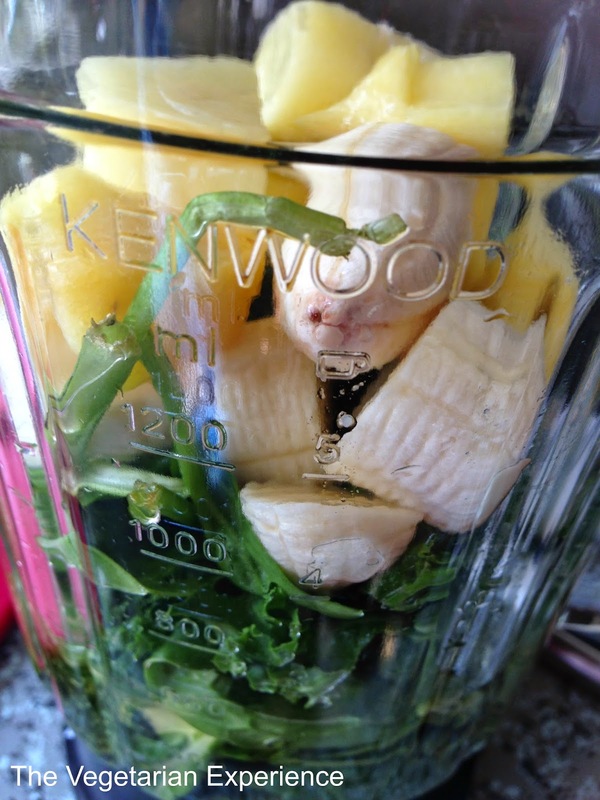 I love the Green Smoothie I made as the pineapple and banana gives the smoothie it's sweetness and the mint gives it a really fresh hint of flavour. I think that I am definitely now a Green Smoothie convert! 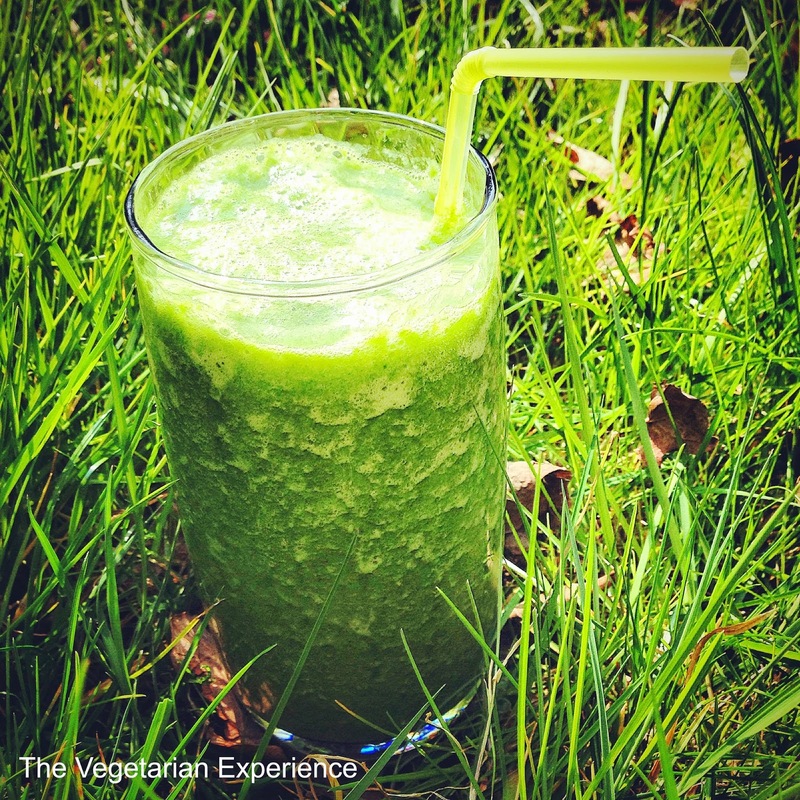 I would love to hear what your favourite Green Smoothie is! 1. Place all the ingredients in a blender apart from the ice cubes. 2. Blend the ingredients in the blender together. 3) Add the ice cubes and blend once more.